National Library Week is this week. The 2019 theme is Libraries= Strong Communities. We know there are still people that think the internet has replaced libraries, but anyone who actually visits the library knows that is not the case. Sure libraries have an amazing selection of books, dvds, music cds, video games, magazines, puzzles and more to check out. However, libraries have filled the need of community engagement for lifelong learning by offering classes, programs, and educational options for all ages. If you haven’t been into the library lately, stop by to see our changes and how we can be a benefit to you and your family all for free. Our annual food drive with Food for Fines is April 1-30, 2019. For every non-perishable item brought in you will receive $1 off of your fines. All donated food goes to our local food pantry in Roberts. It’s a great time to help get the pantry stocked for the fast approaching summer months. If you or someone you know needs access to food shelves our website has many options listed for the surrounding communities. A link is here: www.robertspubliclibrary.org/about-us/ and then click the Community Resources tab. Our book sale will be taking place the week of April 8-13th during National Library Week. We have been busy weeding many different genres and we have hundreds of great books for you to take home!  We will not be accepting donations this year as our space is completely full so plan on coming in and getting some great deals for your home libraries. Story Time: Mondays and Wednesdays, 10:30-11:15 am. Bring your children ages 4 and under and look forward to lots of laughs and learning. Story time includes: songs, finger play, stories, crafts, sensory bins and a theme each week. April 8th and 10th will be Spring, April 15th and 17th will be Rabbits, April 22nd and 24th will be Gardens and April 29th and May 1st will be Library. Teen Book Club: Thursday, April 11th, 2:30 pm at the SCC High School. They group will be discussing American Panda by Gloria Choa. Tech Night: Thursday, April 11, 4:45-7 pm. Call the library to sign up for ½ time slots to get answers to your tech questions. Succulent Gardens: Saturday, April 13th, 10:30 am. Calling all gardeners and people that pretend to be gardeners! This class will be taught by My Sister’s Garden at the library. Please register at the circ desk so we have enough supplies for everyone. Traveling Book Club: Thursday, April 18th, 6:30 pm at the Barn Board in Roberts. This month we will be discussing Before We Were Yours by Lisa Wingate. The library will be closed April 19th and 20th for Easter. Stock up early for your long weekend. All items in the drop box before Monday, the 22nd will be backdated to the 18th. Monday Movie Matinee: April 22nd, 1 pm we will be showing Mary Poppins Returns. Popcorn will be provided. Author Visit: Friday, April 26th, 12:30 pm. Local author, Sara Deluca will be joining us to share. Sara DeLuca, a resident of New Richmond, Wisconsin, grew up in nearby Polk County on a sheep and dairy farm. She is the author of Dancing the Cows Home: A Wisconsin Girlhood (Minnesota Historical Society Press). This coming-of age memoir has been adapted for stage and performed numerous times by ArtBarn Theatre, Osceola, Wisconsin. Ms. DeLuca has also published two collections of poetry, Songs From an Inland Sea (Acorn Whistle Press) and Shearing Time (Finishing Line Press). Her poetry has appeared in numerous regional and national journals, including Lullwater Review, North Coast Review, Fauquier Poetry Journal, Sidewalks, Alligator Juniper, Wolf Head Quarterly, and Atlanta Review. Ms. DeLuca has taught numerous creative writing classes in Wisconsin, Minnesota, and Georgia over the past twenty-five years. She enjoys sharing her enthusiasm for family and regional history with other writers. Her latest book, The Crops Look Good: News from a Midwestern Family Farm, was released in 2015 by Minnesota Historical Society Press. A broadly representative, yet intimate farming history, the book is based on a collection of family letters from the 1920s through 1950s. Readers experience the Roaring Twenties, the Great Depression, World War II, and a period of relative calm and prosperity at mid-century, seen through the eyes – and hearts – of those who lived it. Stitchers: this group meets every Friday 12:30-3 pm. Crocheters and Knitters: This group meets every Thursday, 2:15-5 pm.  If you can’t come during this time, feel free to bring in your projects and grab a friend to come in and work in the evening. We have people always using the library for a variety of reasons and we have some great spots to enjoy conversations and get something done at the same time. Strong Seniors: this group meets every Tuesday and Thursday, 1-2 pm. Chair workouts are done with light hand weights. In this cold season, come on in to get your body moving! Senior Coffee and Cookies: every Friday, 10-12 pm. This is a fantastic way to come together and enjoy conversations, play some games and find out about what is going on in our community. We are seeing new faces every month so don’t let the fact that this program has been ongoing for so long prevent you from stopping by! The parking lot fundraiser is ongoing and the Library Board is currently working toward raising $77,253 to pay off the extended lot and prepare the way for pavement. We are currently in the Double this Donation campaign and are excited to see that people are realizing the need to get this paid for and support our library and all of the programs and activities and we provide. Thank you!!! Email us at HMCL@robertspubliclibrary.org and ask to receive our weekly newsletters. “Like” us on Facebook and Instagram!